Little Baby Savannah Kitten Refuses To Let Go Of The Blanket, But Listen To His Response… Oh My Heart!! Just listen to the conversation between kitty and her human, it’s just priceless! Do you ever have conversations like this with your cat? 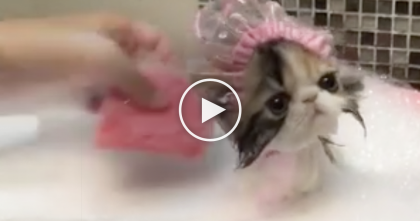 Isn’t this the cutest little kitten talking—SHARE this video with your friends! 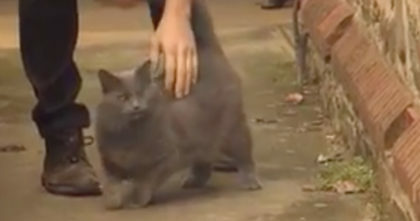 Man adopts one-eyed cat, but never relized what he would to for him… THIS left me in disbelief! 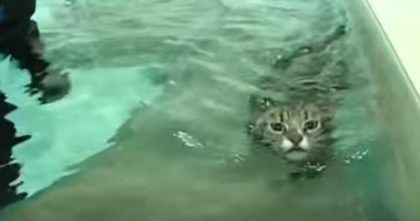 She Never Gave Up On This Paralyzed Cat…AND You’ll NEVER Guess The Secret She Used To Help Him!